This petri is about 3 inches in diameter and about 1/2 inch thick. The particular edition has a flaw of a sprinkling of micro-bubbles and is Almost Perfect. They’re still pretty freaking cool though. Each petri is a unique, handmade, one-of-a-kind art object. The limited series editions are made with a consistent palette and composition and you will receive one from the batch at random. 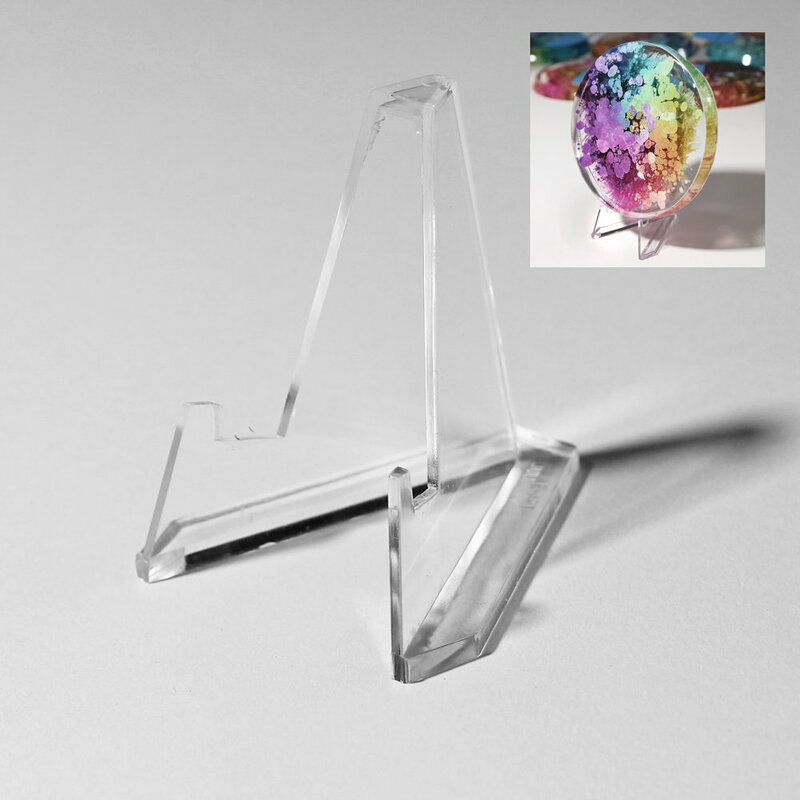 For display, the petri can be attached to the wall with a mounting tape like Command Tape, or you can purchase a clear Lucite stand to display your petri on a desk or shelf (see below). The petri comes packaged with a certificate of authenticity. Ships fast via USPS First Class Mail. Flat fee shipping of $5 in the USA, $15 international (per order not per item).